At Ariel batteries Pty Ltd, we not only carry a wide variety of top brand batteries for all different makes and models but we are specialists in genuine hard rubber case batteries for vintage vehicles. We can rebuild black rubber tar top batteries using your original case. 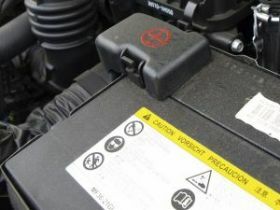 Ariel Batteries Pty Ltd has been supplying new and rebuilt batteries at fantastic prices in Clifton Hill and surrounding areas for over 60 years. With a huge range of quality batteries on offer our experienced team can assist you with all of your enquiries. Free installation on most vehicles by an experienced technician is part of the friendly service at our store. We also offer free delivery and installation on most vehicles to your home or office within a 5km radius. Call us for a quote or come and see as at our store.